When you paint the exterior of your home, you want it to look its absolute best. Just as importantly, you want this renewed beauty to last for as long as possible. Unfortunately, when people try to conduct their painting projects without the requisite knowledge, skill, and experience, the results can be lackluster and short lived. Why invest all that time and money in exterior painting in Richmond if it's just going to go to waste? The best way to avoid these bad results is to hire a professional Richmond painting contractor for assistance. 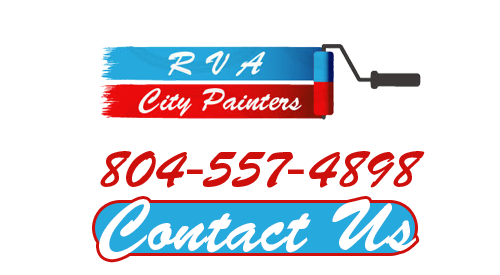 At RVA City Painters, our exterior painting contractors are here to help you with every aspect of the effort. Together, we can make your vision for your home become a reality. When you hire our exterior painting experts, you will avoid all of the following problems. Your home will look its absolute best for the longest time period possible. One common problem that can immediately ruin an exterior painting project is temperature blisters. If the siding of your home is not adequately prepared and moisture is left under the surface of the paint, rising temperatures can cause water to evaporate. Before the paint sets, blisters can form which will seriously detract from the end results. Our Richmond exterior painting contractors always meticulously prepare every surface that we paint. In this way, we can help you avoid exterior paint blisters and the need to strip and repaint your home. Intercoat peeling is the most common reason that people have to repaint their homes well before they intended to. This problem manifests when the surface to be painted and the paint used are incompatible. If the paint does not adhere to the substrate perfectly, it can peel away over time after exposure to the elements. Again, the key to avoiding exterior paint peeling is preparation. Our house painting professionals will expertly repairs, prepare, and make smooth and uniform every surface before paint application. Also, we will help you select the best painting materials for your unique home. As such, you will be able to avoid the frustration caused by intercoat peeling. One of the primary purposes of your exterior paint coat is to protect your property from moisture incursion and the elements. If there are things that are protruding through the siding of your home like nails and drains, these areas must be sealed and caulked. Not only will this proper sealing protect your home, but it will also prevent your paint coat from becoming stained by rust. Rust stains on exterior paint are hard to remove without damaging the coat of paint, so it's better to properly prepare the surface before painting. 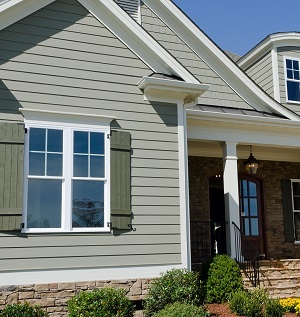 Again, with the help of our experts for exterior painting in Richmond, VA, your home will look its best for the long term. If you need an expert for exterior painting in Richmond, VA, then please call 804-557-4898 or complete our online request form.